Things started early the next day, which was Friday, June 12. Since I had done so well over night and I didn’t want to be completely miserable during labor, they removed my NG tube and started all of the preps to more fully induce labor. I was 4 cm dilated by this time. Prior to being induced, I had considered doing a natural labor with no epidural, but changed my mind for 3 reasons: 1. 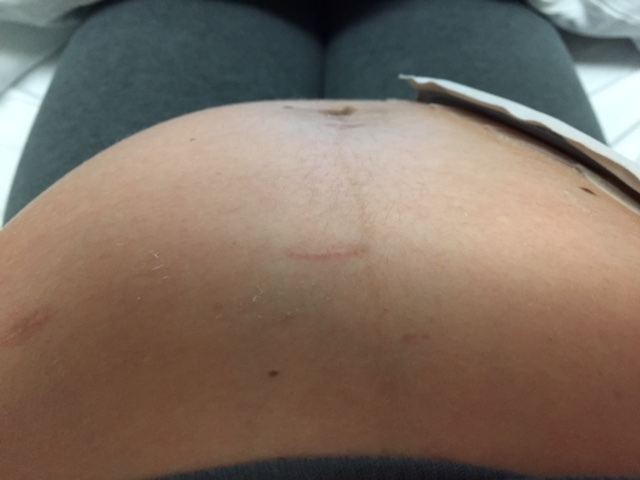 I have heard that if you are being induced with Pitocin that you’re usually better off with an epidural since contractions are often more intense and closer together. Plus, since it’s not a natural labor, it often takes longer. 2. I hadn’t eaten anything in more than 48 hours and didn’t think I’d have the strength. 3. I had been through so much pain the previous two days that I honestly didn’t think I would be able to make it another day dealing with the same sorts of pains. They got the epidural in early, so we could start it before the induction medications. Thankfully it went in easy and worked really well for the most part. Around 11:00 a.m. they started the Pitocin, and about 2 hours later one of the doctors came in to break my water, which meant we were really getting things going. I “labored” for about 8 hours but didn’t feel a darn thing. (Except at one point I started feeling the contractions so they gave me a quick epidural booster.) Around 5:00 that evening the doctor came in to check me again and said I was at 9 cm and getting really close. (Cue the freak out!) But they told me to hang tight until I really started feeling pressure and the urge to push. It was about 7:00 when I started feeling like we were close to “go time.” Of course this is right at shift change in a hospital, so it took a little while to get everything ready for that, which I am now glad for since I think it would have been a longer road if I had started pushing right then. It was a busy night on the delivery floor with, I believe, four other women in the final stages of labor. So it was just the nurse, my husband and me in the room when I started pushing. It was actually really nice, because it was quiet and we had the lights down low and the nurse and my husband each held one of my legs as I started pushing. I believe my epidural had started to wear off a little by now, because I was definitely feeling contractions. This didn’t turn out to be a bad thing because it helped me better know when was time to push, rather than judging based on the monitor. It still definitely took the edge off, because even pushing never really hurt. It more of felt like a ton of pressure and took an extraordinary amount of energy. Looking back, I definitely don’t think I would have had the strength if I had been dealing with full-blown labor pains all day. I pushed for right about an hour when we got the point that we had to get the rest of the team in there. After that, there were 5 or 6 other people as a part of the whole process. 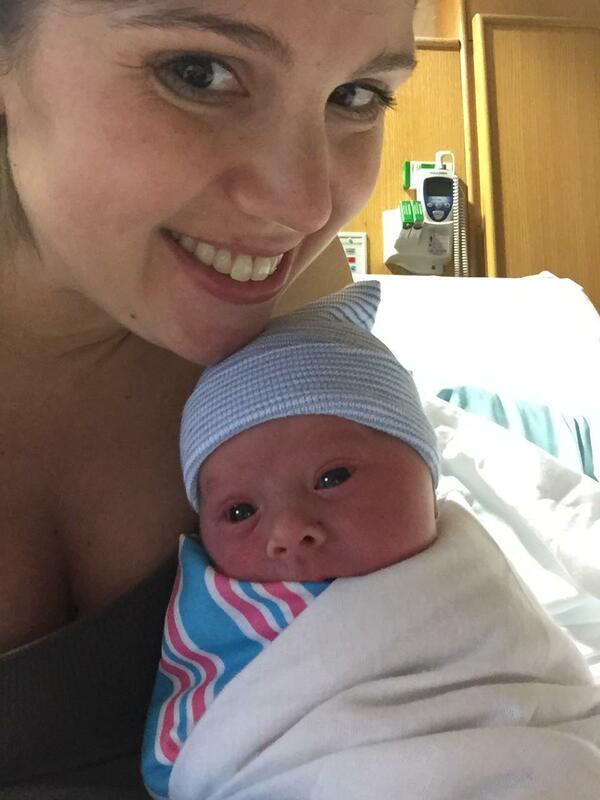 It was about another half-hour before I finally heard the “here he comes” and Waylon Alan Hughes entered the world at 9:13 p.m.
It’s normal procedure at my hospital to immediately give the child to the mother for skin-to-skin contact for a few minutes before doing all that they need to do. They brought him out and did put him on my chest, but for only a few seconds. I think because he was a preemie and wasn’t making a lot of noise right when he came out that they wanted to make sure everything was alright. 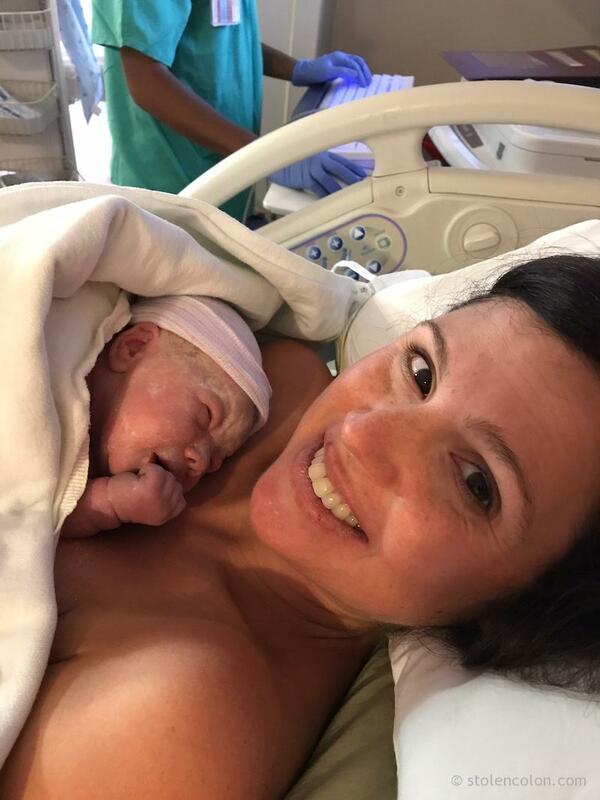 I felt so helpless as I had to lay there while the rest of the birthing process continued to happen and they had my baby across the room, where I could hardly see him, but my husband got to stand there with him. I was waiting so anxiously to find out his weight. I knew we needed over 2000 grams to forego a guaranteed trip to the NICU. I was so nervous because just 2 weeks before I had an ultrasound and was told that he was measuring small for his due date. I was just praying that he had gained weight, even though I had been on liquid diet and bowel rest for most of the time since the scan. Then I heard he was 2580 grams, which I had no idea how big that was but knew it was over 2000! Turns out, he was 5 lbs. 11 oz.! I couldn’t believe it. I was just hoping for over 4.5 pounds and he was close to 6! He was perfectly healthy and they were able to bring him back to me and let us spend some time together after they checked him over. I can’t explain the relief I felt in knowing that he was doing so well and had gained weight in those final weeks and would not need to go to the NICU. It is such an amazing feeling getting to meet this little one that you have anticipated for so long and who has been growing inside you for the past 9 months. He was so tiny and perfect and so much more than I could have ever imagined. 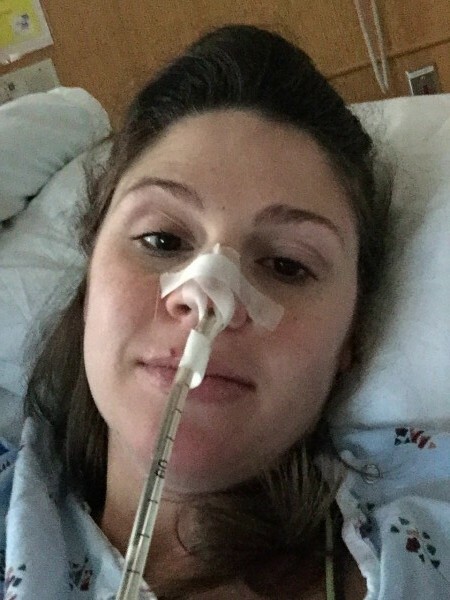 This entry was posted in Inflammatory Bowel Disease, Motherhood, OstoMOMmy, Ostomy, Pregnancy, Stolen Colon, Ulcerative Colitis and tagged baby, birth, colectomy, colon, colon bag, Crohn’s disease, health, hospital, IBD, ibd blog, ileostomy, ileostomy bag, ileostomy blog, life, ostomy bag, ostomy blog, pain, parenthood, stoma, surgery, Waylon on September 15, 2015 by Stephanie Hughes. 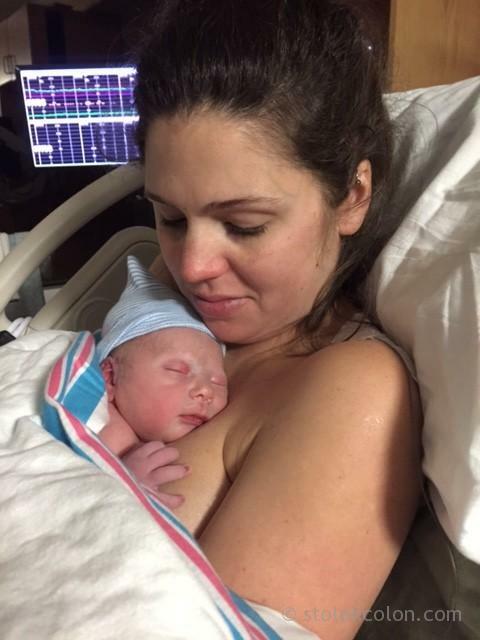 This is the story of the birth of my son, Waylon. It actually started three weeks earlier when I was first admitted to the hospital, then dealt with several weeks of intestinal blockages and other non-fun things like NG tubes. This part of the story starts that week he ended up being born. Since a lot happened during those few days I have split the story up into three parts. I had just gotten home from the hospital on Sunday. I went in to work on Monday in an attempt to get back on track, but realized later on that day that it was probably too much at that point. I worked from home on Tuesday and by just having the ability to sleep in a little and not having to worry about getting ready, I was already feeling a ton better and getting my energy back. I woke up Wednesday morning feeling good and planning on going into work. Shortly before I was ready to leave, my stoma started hurting again and I figured it would be wise to work another day at home. I made myself a smoothie that morning and realized around lunchtime that I hadn’t had any output since I woke up that morning. I tried to focus on drinking lots of water and avoiding food in hopes of flushing anything out. 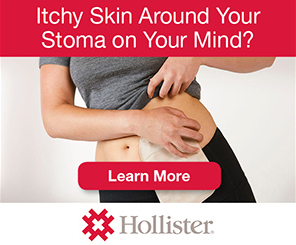 By the time the workday was over, I was having bad pain around my stoma. I tried to sleep it off for a bit, but when my husband came to check on me around 8:00 that evening I was in pretty intense pain and had already thrown up once. He said we needed to go back to the hospital and I wanted to fight it so badly, but I knew he was right. We drove to labor and delivery that evening and checked in for the 4th time in 4 weeks. I spent several really miserable hours getting checked in and checked out by doctors. Baby was looking great during this time, but I was having somewhat regular contractions. At this point, I couldn’t really tell a difference between the contractions and the intestinal pain I was feeling. The doctor checked for signs of active labor, but I was still only 1 cm dilated (which I had been the previous week). They kept me on the labor floor since I was having contractions and I found out I would be getting another NG tube (joy!). And I couldn’t argue, because I knew it was the only option at that point. Thankfully, this one went in a lot easier and ended up being less uncomfortable while it was in than my previous one. The next day was a difficult one, as I was on complete bowel rest, lots of IV fluids and (thankfully) pain meds, and continual tracking of the little one. I literally slept the entire day. My husband and mom were there for a while and I slept the whole time. I don’t really remember anything that happened that day until about 6:30 that evening, when I finally woke up. The doctors started talking more about inducing labor, which made me very nervous since I wasn’t even 36 weeks yet. 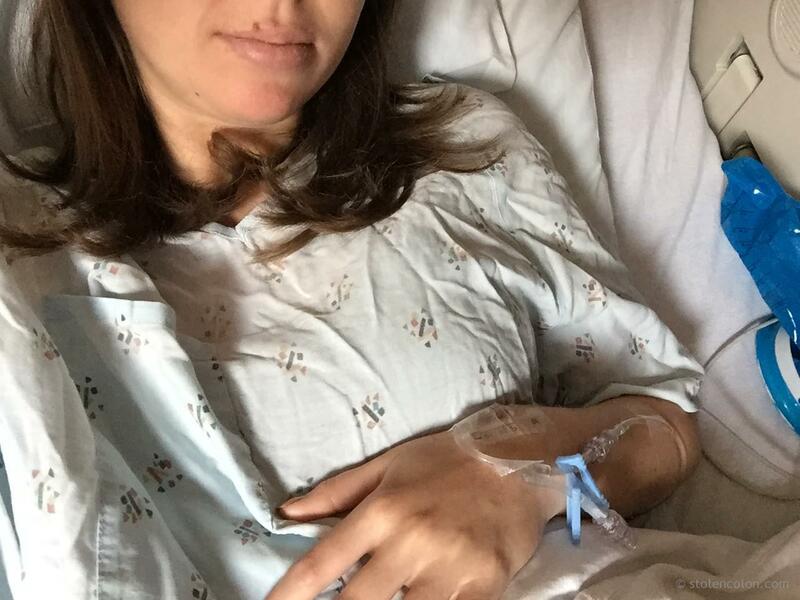 They decided it was best to do a CT scan, which is a normal option for dealing with a bowel obstruction, but one that is not preferred when you’re pregnant because of the radiation. But at this point we were out of options. After we got the results from the scan, the doctors came up to tell me that I did have a massive obstruction right near the end of the intestines and stoma. Basically, my uterus was so mashed up against the stoma site that it was causing a kink and nothing could get through. I asked if they could show me and they pulled up the images of how large my intestine had become because of the blockage. They said it looked more like colon since it was so distended. They decided to help alleviate the pressure with a catheter through the stoma. Best. Idea. Ever. That immediately started to pull out some output and shortly after I was dealing with a bag leaking output everywhere. It made a mess, but within a few hours I was already feeling about a million times better. I quickly had doctors checking in on me who were saying how much better I looked and that I was actually smiling for the first time. This was all happening Thursday evening. And even though we were now moving in the right direction and my pain was subsiding, the doctor came in to talk to me about inducing. 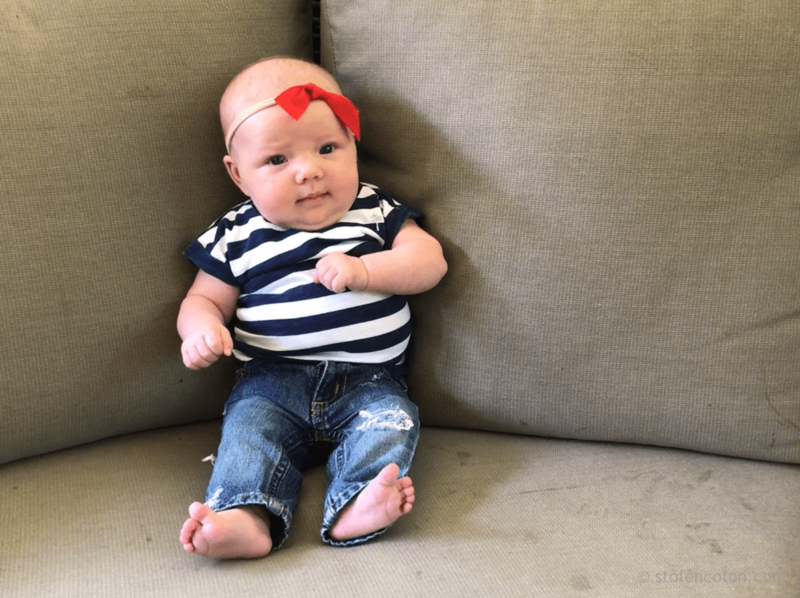 They said that even though it looked like we had passed this blockage (which I do now believe was the same blockage the entire time), there was really nothing they or I could do to prevent this from happening over and over again for the rest of my pregnancy. They checked me at that point and I had dilated further to 2 cm on my own, as I had continued having contractions that whole day. 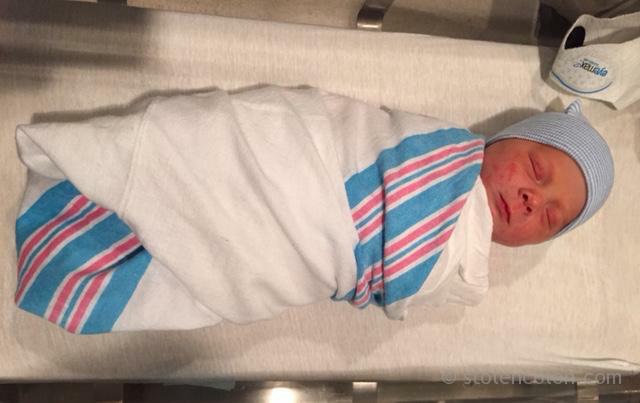 They inserted a foley catheter just before midnight to help jump-start the process a little further and it was official… the baby was coming soon. 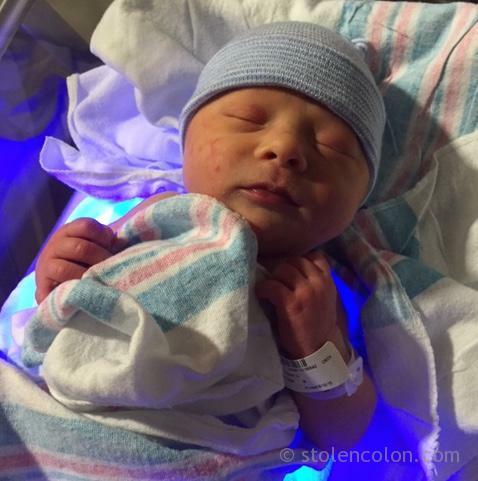 This entry was posted in Inflammatory Bowel Disease, Motherhood, OstoMOMmy, Ostomy, Pregnancy, Stolen Colon, Ulcerative Colitis and tagged baby, birth, colectomy, colon, colon bag, Crohn’s disease, health, hospital, IBD, ibd blog, ileostomy, ileostomy bag, ileostomy blog, life, ostomy bag, ostomy blog, pain, parenthood, stoma, surgery, Waylon on September 13, 2015 by Stephanie Hughes.